When you’re planning any backpacking trip you have to first pick a destination, and then you start to think about food. Good, nutritious food usually means added weight, but in the last few years freeze dried food has fixed that problem. 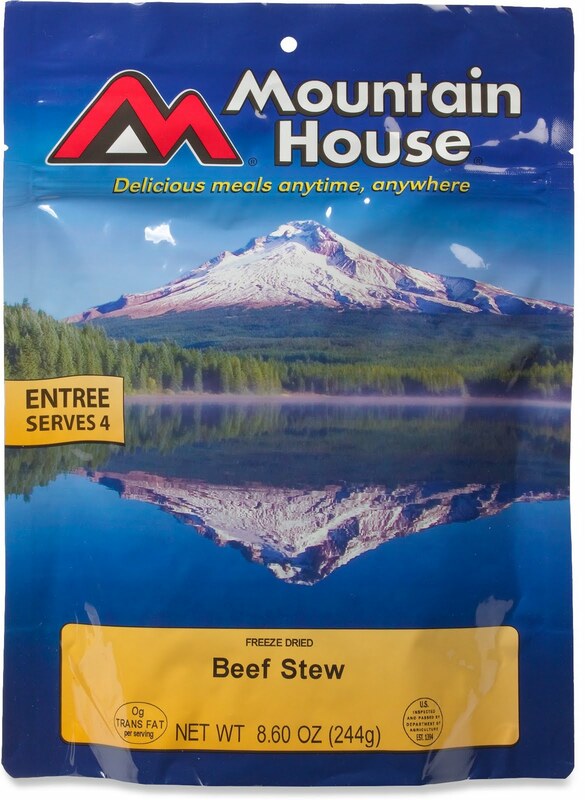 There are several companies, and most of them make a good product, but the best I’ve found is Mountain House. I like Mountain House meals the most because of their convenience and selection. Almost every dish requires only two cups of boiling water to reconstitute. That’s all it takes, one quick step and you’re eating, which also means less clean up time and less garbage to pack out. Less prep time also means more time enjoying the fact that you’re in the middle of nowhere, rather than slaving over a hot fire for half an hour. For your next trip, give Mountain House a try!